Our goal is to connect people with the best local experts. 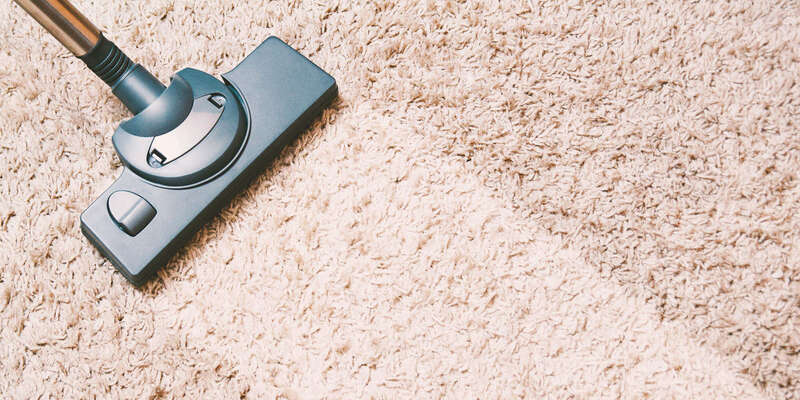 We scored carpet cleaners on more than 25 variables across five categories, and analysed the results to give you a hand-picked list of the best carpet cleaners in Boise, ID. 4Alarm Carpet Cleaning is a Boise carpet cleaning business comprised of experienced technicians who are certified by the Institute of Inspection Cleaning and Restoration Certification. The team has also earned Applied Structural Drying, Water Damage Remediation, and Applied Microbial Remediation, Upholstery & Fine Fabric Cleaning, and Odor Control certifications. 4Alarm Carpet Cleaning serves customers in Boise, Meridian, and the surrounding areas. Allied Carpet Care is a business in Boise with customers situated in the city as well as its suburbs. With more than a quarter of a century of history in the local carpet cleaning industry, Allied Carpet Care is a trusted provider of residential and commercial carpet cleaning, upholstery cleaning, and tile and grout cleaning services. The company is accredited by the Better Business Bureau, and its staff is licensed and insured. American Cleaning Service Co. has delivered carpet cleaning services to Boise Metro properties since 1949. Although specializing in regular maintenance cleaning visits at commercial properties, the cleaning technicians can also arrive for emergency disaster restoration services in the event of property damage caused by fire, smoke, or flooding. Additionally, American Cleaning Service Co.’s staff cleans windows and can detect and eliminate mold. ASAP Cleanup and Repair is based in Meridian and cleans carpets for customers all over the Boise Metro area. The business’s specialty service is its 24/7 emergency cleaning. In the event of flooding, fire, or other property damage emergencies, the on-call technicians from ASAP Cleanup and Repair are quickly dispatched to the caller’s home or business. Then the trained and qualified crew members work to quickly and effectively sanitize and deodorize the affected areas. Barney’s Carpet Cleaning is a Boise company with technicians delivering carpet cleaning services to customers all throughout the Treasure Valley. Staff additionally cleans upholstery and tile. Barney’s Carpet Cleaning uses a three-step method of carpet care, involving assessment, pre-treatment, and then thorough cleaning, using equipment that simultaneously applies cleaning chemicals and vacuums. Capital Cleaning is owned by a Garden City-based carpet cleaning specialist serving properties throughout the Boise area. Qualified technical crew members clean carpets, upholstery, tile, and dryer vents on both residential and commercial properties. Capital Cleaning’s specialties are carpet repair and water damage restoration. Carpet Clean Team is a Meridian company that specializes in carpet cleaning but also cleans upholstery, and provides one-time cleaning solutions for odors and stains caused by pet urine. The staff undergoes continual training in industry techniques, and all technicians are certified by the Institute of Inspection Cleaning and Restoration Certification. Additionally, Carpet Clean Team is accredited by the Better Business Bureau. Founded in 2006, Carpet Geek in Meridian cleans Boise homeowners’ and business owners’ carpets and upholstery. Staff technicians are also qualified to repair carpets and to smooth out wrinkles. Carpet Geek specializes in servicing commercial spaces, including restaurants, retail stores, office buildings, and hotels. Carpet Ninja LLC is a Meridian company that serves the Boise Metro with carpet cleaning and other cleaning services for homes and businesses. All of Carpet Ninja LLC’s staff technicians are certified, licensed, and insured, and they can perform a range of services, including upholstery cleaning, rug cleaning, and carpet repair, as well as specialized stain removal and emergency water damage remediation services. Carpet Ninja LLC offers flexible scheduling, including availability on nights and weekends. Cascade Cleaning Services LLC is a Boise carpet cleaning company. Specializing in steam cleaning services, the small owner-operated business cleans rugs, upholstery, tile and grout, hardwood, air ducts, and dryer vents, in addition to carpets. Cascade Cleaning Services LLC is accredited by the Better Business Bureau and certified by the Institute of Inspection Cleaning and Restoration Certification. A Better Business Bureau accredited business with an A+ rating and a Super Service Awardee (Angie’s List), Certified Rug Cleaners has been providing top-notch cleaning services to their clients in the Caldwell, Nampa, Meridian, Eagle, and Boise areas since 1950. Their success lies in their commitment to ensuring that they provide only the best quality work to their clients by hiring and training skilled individuals. All of their technicians are certified which guarantees their customers that they finish any cleaning job with efficiency and in a timely manner. Their services include rug cleaning, spot cleaning, furniture cleaning, and carpet cleaning. Using only green products and anti-allergen products, they assure that their clients will receive effective and safe cleaning services. Curtis Maintenance is a Boise company delivering carpet cleaning and other property cleaning services to customers throughout Treasure Valley and surrounding areas. Founded in 1958, Curtis Maintenance focuses on cleaning carpets and upholstery for local residents, but can also perform power washing services to thoroughly clean outdoor surfaces such as walkways, fences, and walls, among others. Curtis Maintenance’s trained, licensed technical staff is even qualified to clean and wax hardwood floors. David’s Guaran-T-Clean opened in Meridian in 1981. It is now an established Bosie Metro provider of carpet cleaning and related services, including upholstery cleaning, fabric protectant application, rug cleaning, deodorization, and stain removal. Although David’s Guaran-T-Clean offers its services to homeowners, they are especially suitable for commercial clients. Go Green Carpet Cleaning specializes in providing eco-friendly Boise carpet cleaning solutions. Additionally, technical staff members offer tile and grout cleaning, air duct cleaning, upholstery cleaning, and water damage restoration, in addition to stain removal and deodorization services. The business’s owner has more than a decade of experience and supervises or personally performs all of Go Green Carpet Cleaning’s cleaning projects. Kaufman's Carpet Clean is a company located in Boise, with customers in the city as well as the surrounding area. The business’s specialty is carefully assessing carpets for issues. Thereby the staff at Kaufman’s Carpet Clean develops a plan regarding how to quickly and effectively clean the property. In addition to carpet cleaning, on-call technical staff members can clean tile, upholstery, and area rugs. Miro’s Carpet Care in Boise serves business with customers throughout the city as well as its suburbs. The staff technical specialists at Miro’s Carpet Care specialize in odor neutralization and stain removal carpet care techniques. However, they also clean auto interiors, RV interiors, upholstery, and tile, and via pressure washing they can wash exterior surfaces such as driveways, fences, and walkways. Discounts are available for veterans, active members of the military, and veterans. The Idaho Cleaning Company, in Boise, provides carpet cleaning and custodial services to customers in and around Boise. Suitable primarily for commercial clients, The Idaho Cleaning Company’s regular janitorial service includes stripping and waxing hard surface floors, tidying office spaces, and performing general floor maintenance and restoration procedures, in addition to thoroughly cleaning the business’s carpets. The Idaho Cleaning Company is Better Business Burau accredited and bears a certification from the Institute of Inspection Cleaning and Restoration Certification, a national professional organization. Todd’s Pro Kleen has provided Boise carpet cleaning service options at upfront prices for more than two decades. The cleaning staff at Todd’s Pro Kleen is comprised entirely of technicians certified by the Institute of Inspection Cleaning and Restoration Certification. Further, Todd’s Pro Kleen has won Angie’s List’s Super Service Award. Todd’s Pro Kleen provides discounted service to seniors, active members of the military, and veterans. Ultimate Carpet Clean is a team of carpet cleaning specialists based in Boise, serving customers in the city and its suburbs. The staff specializes in servicing residential properties but can also clean commercial properties, including restaurants, retailers, and hotels. Ultimate Carpet Cleaning is certified by the Institute of Inspection Cleaning and Restoration Certification, accredited by the Better Business Bureau, and has won Angie’s List’s Super Service Award, indicating high levels of customer satisfaction. Besides carpet, upholstery, and rug cleaning, Ultimate Carpet Cleaning offers wood floor refinishing, furnace duct cleaning, dryer duct cleaning, and emergency water damage restoration. Zeroez Boise provides carpet cleaning, upholstery cleaning, and tile cleaning, among many other service options, to customers in the Boise Metro. Additional services include mattress cleaning, non-toxic hard surface cleaning, and immediate treatment of stains and odors caused by pets. Zeroez Boise is certified by the Institute of Inspection Cleaning and Restoration Certification, in addition to being Woolsafe Approved and a winner of The Angie’s List Super Service Award.